Brazil has confirmed 557 deaths caused by H1N1 flu, the highest total in the world, the nation’s Health Ministry says. The United States has counted 522 fatalities through Thursday, and nearly 1,800 people had died worldwide through August 13, U.S. and global health officials said. In terms of mortality rate, which considers flu deaths in terms of a nation’s population, Brazil ranks seventh, and the United States is 13th, the Brazilian Ministry of Health said in a news release Wednesday. Argentina, which has reported 386 deaths attributed to H1N1 as of August 13, ranks first per capita, the Brazilian health officials said, and Mexico, where the flu outbreak was discovered in April, ranks 14th per capita. Brazil, Argentina, Chile, Mexico and the United States have the most total cases globally, according to the World Health Organization. The Brazilian Ministry of Health said there have been 6,100 cases of flu in the nation, with 5,206 cases (85.3 percent) confirmed as H1N1, also known as swine flu. The state of Sao Paulo had 223 deaths through Wednesday, the largest number in the country. In addition, 480 pregnant women have been confirmed with H1N1, of whom 58 died. 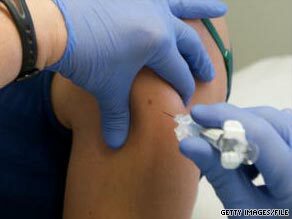 Swine flu has been shown to hit young people and pregnant women particularly hard. Many schools in Sao Paulo have delayed the start of the second semester for a couple of weeks, and students will have to attend classes on weekends to catch up. Schools also have suspended extracurricular activities such as soccer, volleyball and chess to try to curtail spread of the disease. Flu traditionally has its peak during the winter months, and South America, where it is winter, has had a large number of cases recently. The World Health Organization said this week that the United States and other heavily populated Northern Hemisphere countries need to brace for a second wave of H1N1 as their winter approaches. Officials at the Centers for Disease Control and Prevention and other U.S. health agencies have been preparing and said this week that up to half of the nation’s population may contract the disease and 90,000 could die from it. Seasonal flu typically kills about 64,000 Americans each year. A vaccine against H1N1 is being tested but is not expected to be available until at least mid-October and will probably require two shots at least one week apart, health officials have said. Since it typically takes a couple of weeks for a person’s immunity to build up after the vaccine, most Americans would not be protected until sometime in November. The World Health Organization in June declared a Level 6 worldwide pandemic, the organization’s highest classification.